Sweets with a salty, savory hint have always been around—think the pinch of salt in a chocolate-chip cookie recipe. But in recent years, it’s become a selling point. From “salty” caramel to “salted” chocolate chip cookies, the emphasis has really moved over to the savory side of the equation in sweets. And, we’ve seen plenty of sweets with a spicy kick as well. For me, the worlds of spicy, savory and sweet all came together in ice cream form several years ago, with an unforgettable Curry Carrot flavor that was bracingly spicy and just everything at once. 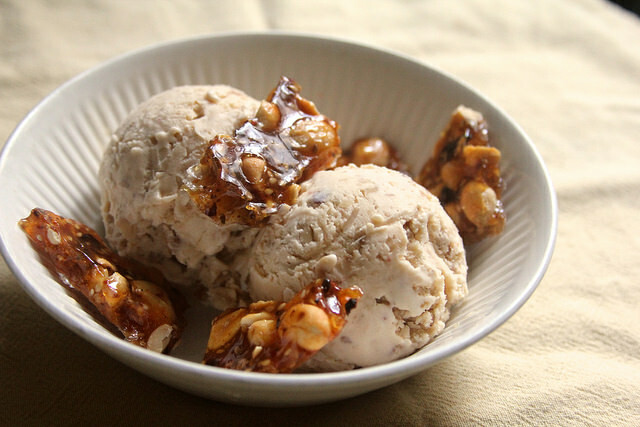 So, recalling how sensational ice cream with unlikely flavor combinations can be, I made this ice cream, as well as a spicy peanut-sesame brittle recipe while working on a story on the Chinese condiment, Spicy Chili Crisp. Both the brittle and the ice cream employ basic recipes for each—it’s easy to pull this off if you’e ever made either before. But they take on a dramatic new depth of flavor once you stir in a crispy chili oil, such as the one sold by the brand Laoganma as Spicy Chili Crisp. 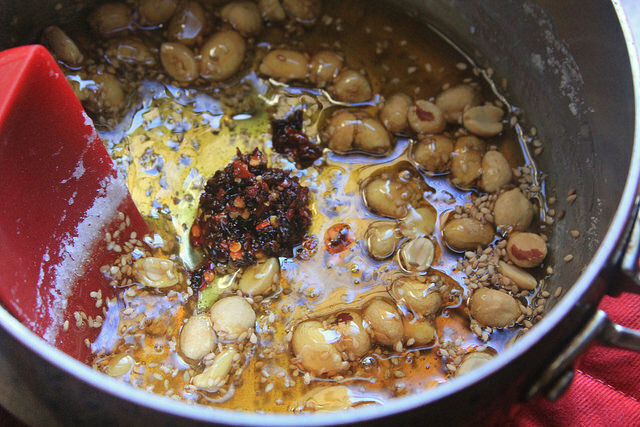 Lightly browned sugar syrup is mixed with peanuts, sesame seeds and a dollop of chili crisp. As a kid, I would always nibble on peanut brittle at my grandparents’ house in Upstate New York; it was literally always sitting out in a candy dish whenever we visited. It never excited me terribly much, but I liked the satisfaction of popping out the peanuts whole from their sugary shellac. I always wished there were more peanuts to go around. 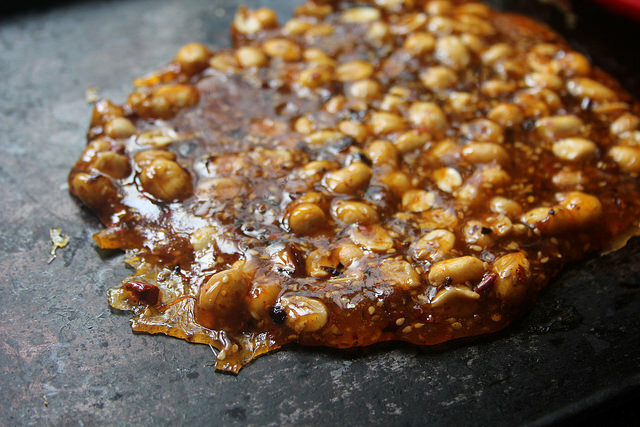 So I packed this brittle with plenty of them, as well as roasted sesame seeds, making it a sort of hybrid between the Chinese sesame candies I also have enjoyed since childhood and the aforementioned American-style peanut brittle. OK maybe not a perfect hybrid—because I also stirred in Spicy Chili Crisp sauce, just before the stuff hardened into a sticky slab. The hardened candy cools on a greased pan. So with that feat conquered—and because I had peanuts to spare—I went on to make an ice cream version of this, stirring the lightly crushed peanuts and Spicy Chili Crisp into the custard base while it cooled. The vermilion chili oil of the sauce mixed in, giving the ice cream a palpable tinge of heat throughout. The peanuts helped flavor the cream base as well, and were studded throughout for texture. 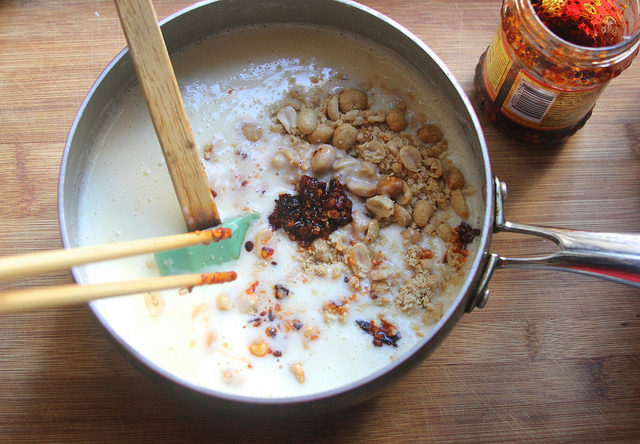 An ice cream custard base gets an infusion of crushed peanuts and chili crisp, too. If you’ve had your eyes on Chinese internet food memes, you may be aware that spicy chili oil, crispy or not, has become a trendy ice cream topping in Sichuan province. But I think that the addition of peanuts—which can go either savory or sweet routes—is a great way to bridge the two disparate foods together. Spicy ice cream (spice cream?) trends aside, you could also just make this peanut ice cream and increase the salt for a deliciously savory, “salted” peanut flavor alone. Maybe that’s what the peanut brittle at Grandma’s had been missing all along. In a small bowl, beat the eggs and egg yolk with the sugar until fluffy and the lighter in color. Combine the cream and milk in a saucepan. Almost bring mixture just to a boil, then remove from heat. While beating the egg yolk mixture, pour in a small spoonful of the hot milk mixture and continue to beat. Repeat process with a larger spoonful, while beating, then repeat again, and again. (This will temper the eggs, so that they don’t cook lumpy.) Pour all the egg yolk mixture into the hot milk mixture. Return heat to medium-low. Cook about 8-10 minutes longer, stirring frequently with a spatula to scrape all corners of the bottom of the pot. Do not let boil. The custard should be just thick enough to coat the back of a spoon, but have no lumps. Let cool for 10 minutes, then stir in the peanuts and chili sauce and transfer to an airtight container and completely chill in the refrigerator at least 2 hours. Follow your machine’s instructions for churning length. Transfer ice cream to an airtight container and freeze for 2 hours to “ripen” before serving. 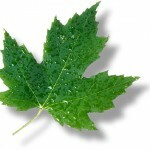 Eight maple leaves: If rich, sugary ice cream is what you want it’s what you get. Eat it in moderation. And at least when making it yourself, you’re able to leave out any chemical additives, as well as choose what type of milk, eggs, sugar, etc. you’re using. Five maple leaves: Making your own ice cream allows you to choose ingredients that will not only impact your health, but your carbon footprint. So take advantage and get the best, richest, milk and cream from grass-fed cows from a small farmer; or the richest free-range eggs from one, too. Buying local for these year-round staples is a good way to cut out the middle man and miles of extra travel. It’ll probably taste pretty good too, and make you feel a little better about eating such a rich ice cream. The ice-cream looks so amazing! Don’t care about the cold weather, I have to try this recipe. Thank you for sharing! 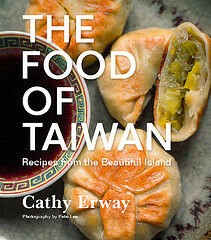 Seriously enjoyed reading this recipe! Such a cute way of writing and a great sense of humour! Must be thanks for the given this amazing article for me you can follow here how to find clipboard in windoows 10 and save the all working tips for fast browsing.